Interactive Voice Response (IVR) platforms have been widely deployed in resource-limited settings. These systems tend to afford asynchronous push interactions, and within the context of health, provide medication reminders, descriptions of symptoms and tips on self-management. Here, we present the development of an IVR system for resource-limited settings that enables real-time, synchronous interaction. Inspired by community radio, and calls for health systems that are truly local, we developed “Sehat ki Vaani”. Sehat ki Vaani is a real-time IVR platform that enables hosting and participation in radio chat shows on community-led topics. 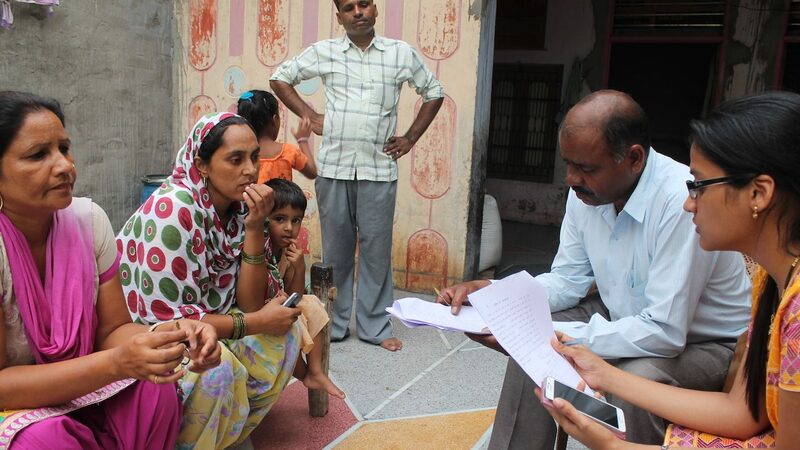 We deployed Sehat ki Vaani with two communities in North India on topics related to the management of Type 2 diabetes and maternal health. Our deployments highlight the potential for synchronous IVR systems to offer community connection and localised sharing of experience, while also highlighting the complexity of producing, hosting and participating in radio shows in real time through IVR. We discuss the relative strengths and weaknesses of synchronous IVR systems, and highlight lessons learnt for interaction design in this area.